** my 6 year old can read REALLY well. well enough that i had to ban him from reading the billboards in las vegas. **flowers and gardens grow better and fuller when it's NOT 8000 feet high. i have pictures (still need to go through them all) of gardens from my uncle's amazing back yard and my friend's and sis-in law's gardens...i have been truly inspired, and am going to take bits and pieces from people and try to make things work up here in the high altitude. i'm going to research what will and wont grow . **california has a sick sense of what is not wanted stuff, but that just meant that i got to go to thrift stores and find things that made me sooooooo happy sometimes it hurt! 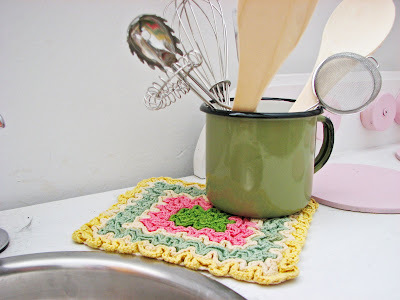 this enamel ware and crochet hot pad was a great find. and exactly what i was looking for to hold katie's utensils. cute little chair i got for 50 cents. **i have the the coolest church and people around me...seriously...i got a call while on my way to cali and it was my neighbors saying that the church (leaders) would like to know if i would mind if they had some youth mow my lawn while i was gone, and also that they heard through the grapevine (not a very long one in this town) that i had gotten rid of my goats and that i was concerned what to do about my pasture and the rapid growing grass in the area...they were wondering if i wanted to put a couple of calf's in there just to keep it down. first thought was "i don't think i want to buy any cows right now thank you" but noooo, someone would put THEIR calf's in there so they "mow"down the grass and they would come and take care of them ( get them water, and bottle feed them) i came home after two weeks and sure enough, my lawn was mowed and there were these two cute little calf's staring at me. my 8 year old finally has forgiven me for getting rid of the goats....there's even talk that the cows are even better than our goats...nice. thank you middle of nowhere people! **i love my home no matter where it is, it's always nice to be back home. **i am soooo ready to start working on my gardens (it's finally okay to do so up here without fear that it will freeze) and i am sooo ready to make stuff again! it was a great break, but i'm back with a vengeance! SO glad you're back! Really!! 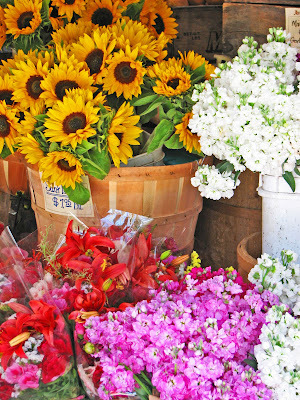 I have missed your blog terribly! What fun! 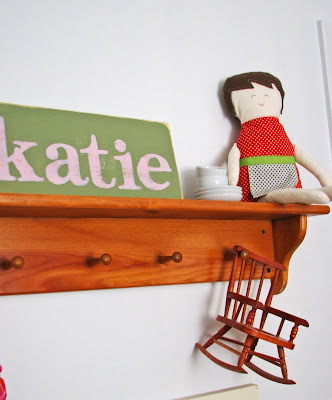 I LOVE the dresser! we missed you and all your projects!!!! 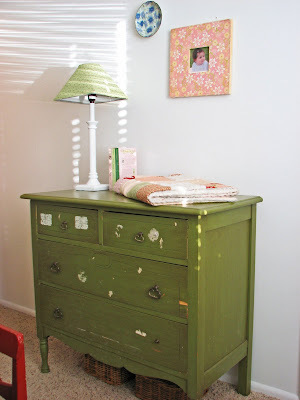 love the dresser- i'm with you- why would anyone get rid of it???? You have the best luck with finding great stuff! I need to figure out to have some of your luck rub off on me! And the "getaway" idea is very intriguing...you'll have to share your ideas. I am so jealous over the cows! I want cows! I am glad you are taken care of and that your trip was fun! Love you! Vanessa it sounds like you had such a great time in CA. 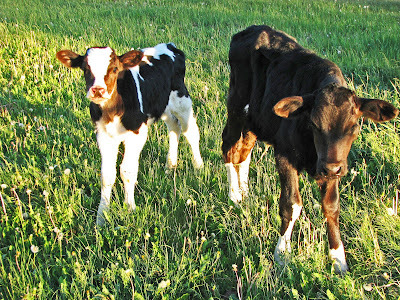 Love all the things you blog about and what cute little baby cows. Your Uncle and Sister-in-laws yards are great. When you get back to making stuff...do you or anyone you know make covers for Kitchen Aids? It seems even Kitchen Aid doesn't sell them..maybe a new market opportunity for someone! I need one! oooh bonnie that would be a good idea!! !